If you have been asking around after quality and durable boots, it is possible that Red Wing has been recommended to you. Red Wing is pretty famous in the shoe manufacturing world (even the US Military have worn their shoes) so it’s no surprise. 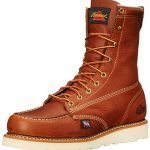 You have landed on this article for a reason, and that is because you are considering purchasing a pair of the Red Wing Ice Cutter Boots. These boots were built with northern ice workers in mind, where a boot that works well on pedestrian sidewalks and frozen surfaces is required. The Ice Cutters boast quality leather, natural wool, and a sole offering enhanced traction and slip-resistance. This is a slightly more expensive boot so the question is: is it worth the price? Let’s find out! 3 Are the Ice Cutter Stylish? 4 How Good is the Ice Cutter Sole? 5 Will I Be Comfortable in my Ice Cutter Boots? 6 Should I Take Price Into Consideration? 11 Who Is Red Wing? There are two options in the Red Wing Ice Cutter line. One of these is the Ice Cutter 2931. This is the first Red Wing boot that is lined! Ultimately, these boots are manufactured as a tribute to the now extinct job of ice cutting in mind – hence the name. Before the invention of freezers, northern American ‘Ice Men’ had to cut large blocks of ice from the lakes and rivers. They kept the ice kept insulated in ice houses and sold it throughout the year. As you can imagine, this was a dangerous job so warm and durable footwear was needed. Therefore, they are fitted with a Vibram sole with a deep tread combined and red natural wool lining for warmth and a good grip. The use high-quality Red Maple Tail leather just adds to their right as the best winter boot. The Ice Cutter 2930 is the second boot in the line from Red Wing. Like the Ice Cutter 2931, this boot is also lined. This is something that is considered somewhat of a innovation for the Heritage collection. This version also has a Vibram sole with a deep tread combined and red natural wool lining meaning they are again a boot offering warmth and a sturdy grip. The main difference between the two versions is that these are made of high-quality Black Otter Tail leather rather than Maple Tail leather. Are the Ice Cutter Stylish? There is just two color options available, black and red maple. Black is a standard color and will serve you well but the red maple has a more laid back feel to them. The red maple will probably blend better with more clothing color combinations. However, it should be noted that the red maple is actually a bit of a dull brown color and lack the lustre one would originally imagine from the name “red maple”. The lace design of the boots is pretty cool. They use 4 eyelets and 3 hooks, meaning they are easy to do up and can be pulled off quickly if needed. The color of the laces complements the color of the leather, especially the yellow/brown laces that come with the red maple boots. How Good is the Ice Cutter Sole? 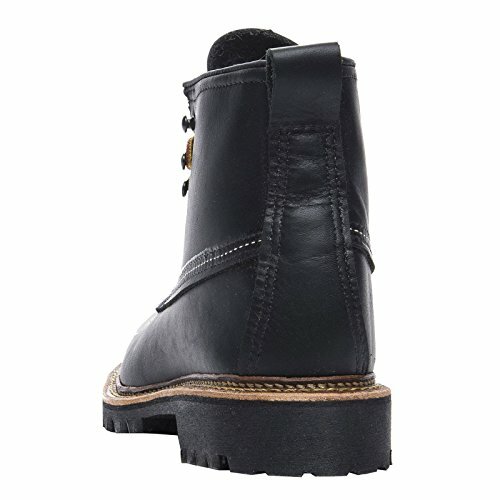 As mentioned earlier in this article, the Ice Cutter boots have a full-length, welted, black Vibram sole. The sole is manufactured by a company called Vibram whose aim is to make soles which add more grip, less weight, and more volume. This thick sole looks as if it would be uncomfortable to walk on but it is actually very soft and very silent. It has a coarse pattern which provides an excellent grip on hard snow. On the other hand, the soft rubber works well on ice. Also, the sole is actually sewn to the boot meaning that it can be easily removed and replaced when worn out. Keep reading for more information on replacing soles! Will I Be Comfortable in my Ice Cutter Boots? Yes, for a number of reasons. One is the soft rubber soles, which make the boots a pleasure to walk in. The supple leather is equally as soft and prevents rubbing and cutting of the feet. The wool lining is also a pleasure. Not only does it keep the feet warm, the plush lining also adds an extra element of comfort. However, you should be aware that the Ice Cutter boots do take a number of days to break in. Therefore, it should be expected that your feet and ankles hurt a bit at the beginning. Should I Take Price Into Consideration? Always take price into consideration! 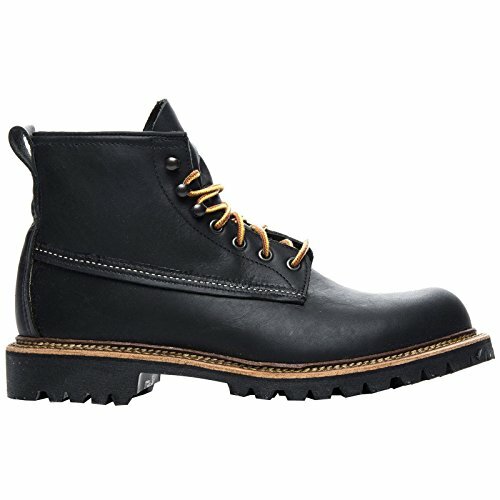 The Red Wing Ice Cutter boots are actually on the more expensive side of consumerism. You could probably get another pair of boots for half or even a third of the price that the Ice Cutters cost but, the truth is, the quality might not be at the same high level. 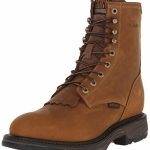 These are a strong and durable pair of boots and the cost per wear will probably end up being very low at the end of their life cycle. Also, you can easily get them resoled (see more below). This means they will probably last a whole lot longer than other boots. Any dirt which might stick to them should be removed using a damp rag or a shoe brush. Mink oil is recommended to further treat the boots. It is advisable to seal the boots with a leather protector. Unfortunately, there isn’t a spray which will prevent the soles of your boots from wearing. However, the good news is that Red Wing offers a resoling service. Aging boots can be sent to the company for an elaborate repair and resoling service. 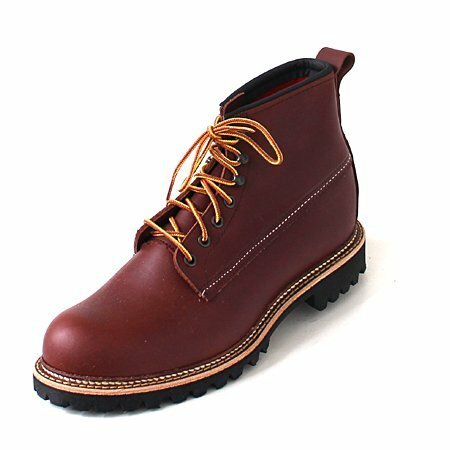 This is possible for nearly every Red Wing style with the original parts from the USA. Both Ice Cutter options are lined with a wool interior. 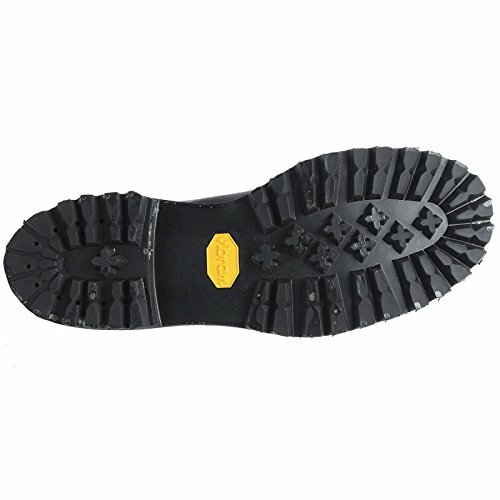 The Ice Cutter Boots have a Vibram sole with a deep tread for a good grip. The soft rubber of the sole allows for a quiet step and good balance if walking on ice. High-quality leather is used to manufacture the boots. The boots are easy to tie up and can be pulled off quickly. The sole is sewn to the boot so it can be easily removed and replaced. Features a bump toe for more room. Fits a variety of foot shapes. Just two colors are available the red maple version is more of a dull brown than the lustrous color imaged by the name. Although the boots are very comfortable, they can take a number of days to break in. The boots are on the higher end of the price scale. 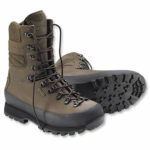 The boots are long wearing and durable but extra care is required to get the full value of your money. Those who need to use a footbed or orthotic should purchase half a size up. Before we delve further into the Ice Cutter boots, let’s take a quick look at the brainchild behind them, Red Wing. Red Wing has been in business since the turn of the 20th century and came about due to a need for footwear specifically designed with demanding outdoor work in mind. 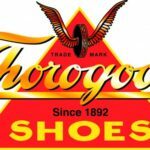 For more than 100 years, the company have been manufacturing footwear that constantly performs in harsh environments and protects the people who wear them. Their line of footwear is produced using premium Red Wing Shoe Leather manufactured in the company’s very own S.B. Foot Tannery. It is hard to be anything but positive about the Red Wing Ice Cutter Boots. They may be on a higher price scale than other brand but they undoubtedly offer quality for the money. It is hard to find a warmer work boot, one that is lined with a wool interior. The Ice Cutter Boots also have a Vibram sole with a good grip and a softness that allows for a quiet step and good balance if walking on ice. They are manufactured using high-quality leather, are easy to get on and off, and, one of the most important things, have an easily removable sole should wear and tear call for a replacement. Of course, the Red Wing Ice Cutter Boots are not perfect. As well as the higher price, they can take a number of days to break in. Also, extra care is required to get the full value of your money. Yet, these minor points cannot negatively impact what is a wonderfully constructed boot. So, if you need a durable work boot, don’t hesitate in picking up a pair of the Ice Cutters! Prepare to be marveled! 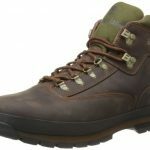 Wolverine Hiking Boots Review – Are They Good Enough for the Great Outdoors?